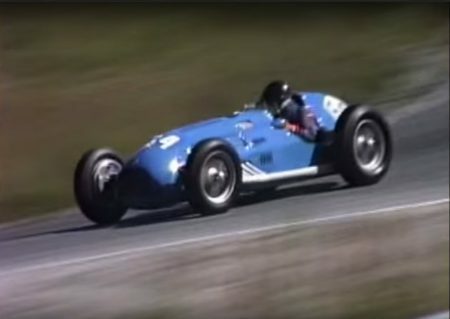 Vintage Racing Club of BC | Last Westwood Historic Motor Races Now on YouTube! Last Westwood Historic Motor Races Now on YouTube! 25 Nov Last Westwood Historic Motor Races Now on YouTube! Many of those who attended the VRCBC’s special ‘Westwood Mural Unveiling’ meeting at Mark’s Auto Body in Port Coquitlam or our Annual Banquets have asked about one of the DVD’s we have shown. This was ‘The Last Race’, a DVD produced by Hans Sipma about the very last Vintage race event, ‘The Tenth Annual Historics Weekend’, held at Westwood over an early July weekend in 1990. Update: Hans has now posted his video on YouTube. You can find it here. Thank you Hans! The entry list of almost 100 cars that is included with the DVD contains many familiar names, quite a few of whom are still Vintage racing today. And you will recognize a lot of the faces too (although they are considerably younger!) when you watch it. The DVD captures a lot of the activity and fun in the Paddock as well as having some great video of the on-track action, which features everything from classic Morgans to ‘Vettes and XKE’s, and from Formula Vees and Fords, to the beautiful 1948 Talbot Lago Grand Prix car, captured by Kane Rogers in his cover illustration. Click here to download Hans’ info sheet for his DVD.